The abstracts received for the conference will be posted on this page except for those participants that want to withdraw them. Please, check your abstract in the CD ROM of the Conference and give us any input you judge necessary (Contact: Dr. Alicia L. C. Gonzalez - or Vivian Betoni - ). The ILWS is planning to have a site for publication of the whole presentations of those authors that agree with this. (Contact: Dr. Alisson Dal Lago - ). This session will address the processes relevant to space weather occurring in the solar interior, solar atmosphere, and outer corona. These processes include, but are not limited to, coronal mass ejections, flares, solar irradiance, shocks, and energetic particle acceleration. This session will also include the elements of the origin and evolution of solar interior and atmospheric structure that pertain to solar variability and energy release. There will be an emphasis on the phenomena that ultimately have an impact on space weather processes affecting geospace. Chairpersons: Yannis Daglis, Alicia L. C. Gonzalez and Mendes, O. Jr. The main focus of this session deals with the interaction of the disturbed solar wind with the Earth´s magnetosphere, as a function of solar cycle phase. Another important topics for discussion are the dynamics of storms and substorms, especially under the lights of recent multi-spacecraft observations, and the related space weather phenomena. Contributions from theoretical observational, and simulation studies are welcome. Understanding the inter-relationship of the ionosphere and the upper atmosphere with the magnetosphere and the solar wind is the main purpose of this session, since upper atmospheric and ionospheric processes may also regulate magnetospheric phenomena, including the formation of the ring current, substorms, and geomagnetic storms. This session is devoted to identifying and quantifying the complex web of inter-related processes that define these interactions. Papers dealing with ground and space based multi-instrument studies are particularly encouraged. Plasma structures and shocks are present everywhere in the heliosphere, from near the Sun to the outer edges of the solar system. Although our understanding of collisionless shocks has advanced in recent years, we still lack a comprehensive view of how the evolution of plasma and shock structures (and their characteristics) is affected by the environment in which they propagate. In particular, it is expected that the efficiency of the acceleration of particles will depend on the shock¹s geometry and strength, which will be a function of the shock¹s initial structure and the solar wind environment through which it propagates. In this session, we invite observers, theorists, and modelers to discuss shocks and plasma structures wherever they are observed or thought to occur, from the lower corona to the termination shock. Some of the questions that will be discussed are: Where/how do shocks propagate in the heliosphere? How shocks are influenced by the structured solar wind? What do shock remote sensing observations (spectroscopic, white light) reveal about the shock structure? This session will discuss all facets of extreme magnetic storms: from those with a maximum Dst of -250 nT all the way to the biggest event on record during September 1-2, 1859. Pertinent topics are: 1) the solar and interplanetary causes of the storms, 2) the preexisting plasma sheet, 3) the ring current composition and 4) related ionospheric storms. Comments on the saturation/lack of saturation of electric fields are welcome. The large spatial and temporal variability of the electrodynamics of the low latitude ionosphere constitutes one of the most challenging problems in the study of upper atmospheric physics. This variability, resulting mostly from the complex interaction of lower atmospheric and solar wind-magnetospheric processes, often significantly affects low latitude communication and navigation systems. This session solicits papers devoted to experimental and modeling studies of low latitude electrodynamics and their effects on ionospheric plasma structure and irregularities. Papers dealing with ground and space based multi-instrument studies are particularly encouraged. Space weather research that will enable nowcasting and forecasting is an important subject for a growing number of terrestrial as well as space-based activities and is a key focus for ILWS. Recent efforts on space weather in Brazil have been undertaken at the National Institute of Space Research-INPE, with emphasis on the topics of low latitude ionospheric-atmospheric electrodynamics and the South Atlantic geomagnetic anomaly. These involve intensive research as well as the growth of monitoring and modeling activities of the related phenomena. This session will highlight worldwide space weather research and applications, with a special emphasis on the low latitude ionosphere and the solar, magnetospheric, and atmospheric drivers of space weather disturbances in this region. Linking variations in solar and geomagnetic activity with variations in Earth's climate system poses several scientific challenges. These challenges include identifying pathways by which small (<1%) quasi-decadal changes in solar irradiance can be amplified to produce a significant response in the climate system, distinguishing the 11-year solar cycle signal from other climate signals that arise from human activities (e.g., enhanced greenhouse gases) and natural causes (e.g., volcanic activity), and understanding how solar proton events associated with coronal mass ejections affect the chemistry and dynamics of the upper and middle atmosphere. Adding to these challenges is the fact that solar-modulated forcing mechanisms of the climate system are subtle, nonlinearly interacting, and modulated by internal atmospheric variability. This session will focus on how solar and geomagnetic activity modulates the interactions that occur between several key atmospheric interfaces, and how these solar-modulated interactions are communicated throughout the climate system. The interfaces include solar irradiance-atmospheric chemistry, atmospheric chemistry-atmospheric dynamics, QBO-planetary waves, tropical upwelling-planetary waves, upper atmosphere-middle atmosphere, and middle atmosphere-lower atmosphere. The use of multiple spacecraft and ground-based assets to advance the knowledge and understanding the Sun-Earth system is increasingly recognized as the future direction of pure and applied solar and space physics research community. To take full advantage of this emphasis, knowledge of what current and future missions being planned across the globe is indispensable. To that end, this session will address space missions currently flying or in development that observe the Solar-Terrestrial-Heliospheric environment. The talks will emphasize (1) the science each mission will pursue and its significance, (2) descriptions of the top-level mission design and instrument complement, and (3) the current status, including possible launch date and mission duration. For missions in the concept stage, additional information on (4) the opportunities for collaborations, both space- and ground-based, and (5) the associated needs for technology and model/theory development will be presented. Suggestions for complimentary investigations that augment the science being addressed are welcome. • Abstract submission: Deadline has been postponed until August 31, 2009. • Early registration: Deadline has been postponed until August 31, 2009. • Hotel reservations: Please see "Location and Travel information"
Besides rooms and bungalows, the hotel has camping services and cabins. 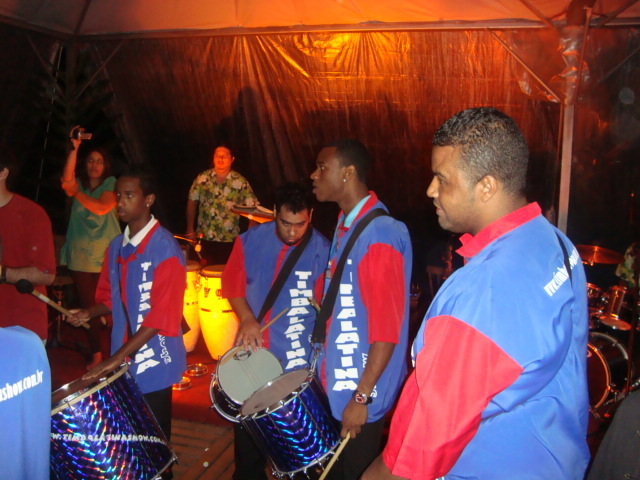 For more local lodging information and reservations, access: http://www.itamambuca.com.br/. For informations about special rates, please contact the hotel at info@itamambuca.com.br. The hotel usually asks for a deposit of 50% for the reservation. But, for the participants of the event, they can wait until August 31, considering the delays that the grants may have. • Hotel reservations: Please make your own reservation at the Itamambuca Eco Resort-Hotel, asking for the special rates arranged for the participants in this event (see table below). These rates are in Reais (Brazilian currency), which is approximately 0.5 of US dollar), and include all the meals. Based on arrival and departure dates of the participants, the organizers plan to arrange transportation from and to Sao Paulo airport. Participants will provide this information via their registration forms (please see Pre-Registration). The city of Ubatuba (that in the tupi-guarani native language means “Place with many canoes”) is located on the North Coast of the State of São Paulo (234 km of distance from the capital). It has nearly 712 km² (with more than 80% of the territory located on the Serra do Mar State Park). It’s one of the state’s 15 municipal districts considered as seaside resorts. Ubatuba brings many episodes, marks and historical registers related to the history of Brasil itself. The indian natives of the Tupinambá (“excellent conoemen”) Community had many villages, one of them being the Iperoig Village, located on the Ubatuba region on the time of the portuguese arrival. Details of the history can be found in the site Litoral Virtual. Considered the “capital of surf”, it’s a paradise for nautical sports. It’s surrounded by the Serra do Mar (Portuguese for Mountain Range of the Sea) and its exuberant preserved Atlantic Forest sections (in the only part that reaches the Brazilian coast). The city has the most extensive coast in the state (100km), with 84 beaches, from urban ones or with condominiums to uninhabited ones. Many beaches have waterfall formations, on the rivers that go down the mountain ridge, with pure and fresh water. The region is almost completely surrounded by the Atlantic Forest, often reaching the sea shore. It’s a region rich with islands, seas, winds, protected waters, easy access to the high seas and one of the country’s best places to practice surf, nautical sports and scuba diving. It has more than eighty beaches and various waterfalls along the mountain range. It has beach options for all tastes: with calm waters like Lazaro Beach, more uninhabited ones with access through trails, such as Brava Beach, Almada Beach and Cedro Beach, beaches with international championship waves, like Itamambuca and some with excellent waves, such as Vermelha do Norte Beach, Toninhas, Grande Beach, amongst others. And also, sailing can be done in Saco da Ribeira Beach. It also has a variety of islands, Souves Island being one of the most beautiful ones, where scuba diving can be practiced (the local average visibility is 8 meters. It is possible to observe corals, rays and even dolphins). Another much known island is Anchieta Island, historical patrimony (due to the existence of ruins of an old politic jail), which can be seen and accessed (by schooner rides) through Saco da Ribeira Beach. In Ubatuba, the TAMAR Project headquarters is located, destined to the conservation of the Brazilian coast marine turtle species. The services are focused on Itaguá Beach and downtown. It has a well prepared infrastructure for visitants, all year long. There are from sophisticated hotels to more simple lodgings and camping areas. The restaurants and snack bars don’t disappoint either. (For more information, see the links session). The Tropical of Capricorn crosses the city exactly in front of the local airport runway. Some of the places to visit, taken from the Brasiltur web site. The largest island in Ubatuba. Holds part of the Serra do Mar State Park. Schooner rides take visitants to some of its beaches - Engenho, Palmas and Presídio. The departures are made in Saco da Ribeira. The Marine Turtle Project – TAMAR was created in 1980 to protect from extinction the five species of turtles that use the Brazilian coast for feeding and reproduction. A species protection program is developed with ambient education activities, scientific research and social and communitarian service actions, involving the local residents. An Agriculture Secretary Experimental Station, part of the Campinas Agronomic Institute. Its main purpose is to analyze and study the main plants and their adaptation to the region’s climate and soil. It’s a beautiful and interesting cultural tour – the reserve has trails with majestic trees and imperial palm trees forming a very pleasant set. Offers to its visitants the opportunity to get to know closely a little of the complex sea world, having amongst its attractions, 12 tanks of salt water – one of them being one of the largest marine tanks in Brazil, with 80 thousand liters - , with samples of the local fauna and from other oceans. Created in 1977, the Serra do Mar State Park (PESM) is the largest park in São Paulo with 315.390 hectares destined to the preservation, ambient education, local culture valorization and scientific research. Practically every representative ecosystem of the Atlantic Forest can be found in its surroundings. The only part of the PSEM that reaches sea level is in Ubatuba, protecting the coast ecosystems, five beaches and two villages also – Cambury and Picinguaba – where villagers still maintain aspects of their traditional culture. Ubatuba has one of the better scuba diving spots on the north coast of São Paulo. It reunites special characteristics – calm, clear waters with pleasant temperature – that guarantee the perfect scenery for scuba diving practice, with or without air cylinders. One of the most looked for places is Leste Beach. Local tour agencies offer courses and equipment rental. Maranduba: Complete beach, with many natural beauties and commercial and service infrastructure for all tastes. da Lagoinha: Ruins of the first Brazilian glass factory. do Lázaro: A place that holds many summer houses, being one of the region’s most beautiful and calm beaches for bathing. da Sununga: Famous by its “Crying Grove”, a place involved by many legends and mysteries. do Lamberto: Holds the University of São Paulo’s (USP) Oceanographic Institute. do Cruzeiro (Iperoig): Place where José de Anchieta wrote his poem to the Virgin. Perequê-Açú: With 4 km of extension, it’s one of Ubatuba’a most traditional beaches. Vermelha do Norte: Has an aquatic amusement park with water slides. It’s located by the Rio-Santos highway margin. Itamambuca: Worldly known for its surf championships. Very large and has very clear sands. Ubatumirim: One of Rio-Santos’ most beautiful views, large and with a very calm sea. - By the Presidente Dutra Highway (BR-116) or Ayrton Senna/Carvalho Pinto Highway until São José dos Campos, then take the Tamoios Highway to Caraguatatuba and Rio-Santos highway (Rio de Janeiro direction) to Ubatuba. - By the SP-055/Rio-Santos, 205 km. 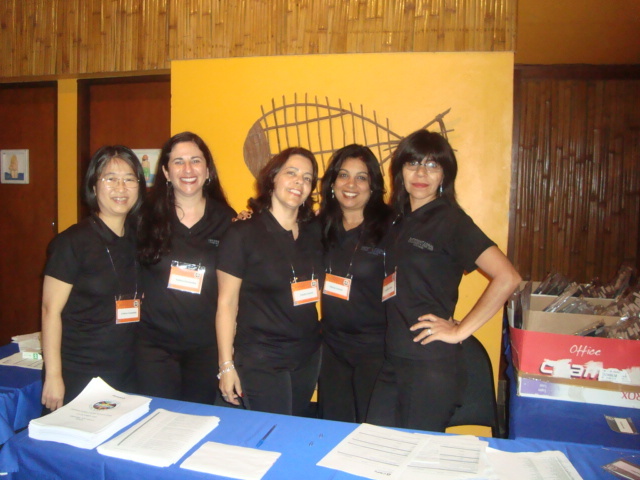 Some informations about visas, taken from the IAU XXVII GENERAL ASSEMBLY. The Brazilian authorities have the reciprocity policy with respect to Entry Visa for citizens of different countries and Brazil has agreement for visa exception with several countries, whose citizens do not need a visa to enter and stay in Brazil up to 60 or 90 days. By June, 2008, citizens of the following countries may enter Brazil and stay for up to 60 or 90 days without needing a visa: Andorra, Argentina, Austria, Bahamas, Barbados, Belgium, Bolivia, Bulgaria, Chile, Colombia, the Czech Republic, Costa Rica, Croatia, Czech Republic, Denmark, Ecuador, Finland, France, Germany, Greece, Guyana, Guatemala, Honduras, Hungary, Iceland, Ireland, Israel, Italy, Republic of Korea, Liechtenstein, Luxembourg, Macau, Malaysia, Malta, Morocco, Monaco, Namibia, Netherlands, New Zealand, Norway, Panama, Paraguay, Peru, Philippines, Poland, Portugal, Romania, San Marino, Slovakia, Slovenia, South Africa, Spain, Sweden, Switzerland, Suriname, Thailand, Trinidad and Tobago, Tunisia, Turkey, United Kingdom, Uruguay, Vatican, Venezuela. Citizens from all other countries do need a tourist visa to enter in Brazil. This includes, among others: USA, China, Japan, Russia, Canada and several more. The tourist visa provides coverage for attending scientific conferences, seminars, or meetings. Note that tourist visa holders are not allowed to engage in any paid activity in Brazil, but they can get per-diem allowances. AMERICAN CITIZENS SHOULD BE AWARE THAT IT MIGHT TAKE MORE THAN ONE MONTH TO GET THE VISA IN THEIR CASE. For other citizens, it should usually take a couple of weeks or less. Both general and more detailed information for citizens of any country living in the USA can be found in the official WEB page of the CONSULATE GENERAL OF BRAZIL - Boston. A list of the tourism and business VISA regime for Brazilian citizens in the different countries, reflecting the situation in April, 2007, is provided here for guidance. Since the Brazilian authorities follow a reciprocity policy with respect to the consular and diplomatic affairs, this can be used as a guide for the citizens of foreign countries who are interested in visiting Brazil, also. However, the situation changes rather frequently and it is mandatory, when planning a travel (either tourism or business), to confirm the necessity of VISA with the travel agencies and the Brazilian diplomatic representations in the different countries. In order to get information and/or to request a tourist visa, it is necessary to contact the nearest Brazilian Consulate. A full official list of the Brazilian Embassies, Consulates, Vice-Consulates, Delegations, Missions and Offices around the world can be found here. Please note that for ALL visitors, passports must be valid for at least six months after the arriving date, and a return ticket and proof of sufficient funds may be requested upon arrival. SOURCES: Brasiltur, Wikipedia, Wikitravel, Google Maps, IAU XXVII General Assembly, Tranporte Ubatuba, Ubatuba Praia Grande, Infraero (Congonhas Airport and Cumbica Airport), Litoral Virtual, Litorânea Company, SOCICAM (Tietê Bus Station Terminal and São José dos Campos Bus Station Terminal). Your submission was successfully sent! The Influence of Solar Variability on Geophysical and Heliospheric Phenomena; the 2009 ILWS Workshop will be held near the city of Ubatuba in the state of São Paulo, Brazil, October 4-9, 2009. This will be the third in a series of very successful and well-attended meetings sponsored by the International Living With a Star (ILWS) that have been held around the world (Goa, India in 2006 and Varna, Bulgaria in 2007). 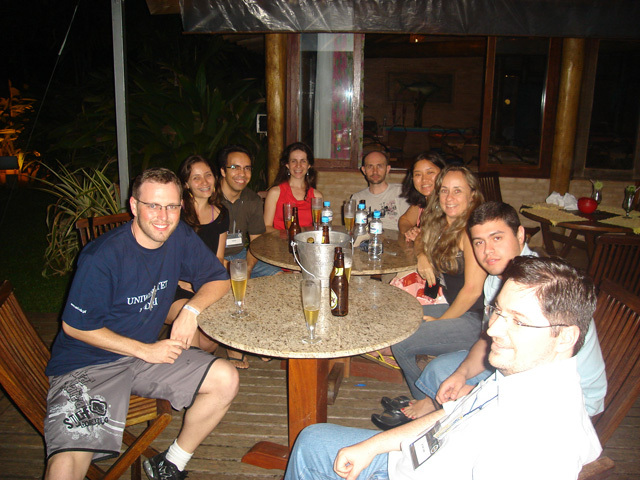 As in the previous meetings, the purpose is to promote the science of the connected Sun-Earth system in three ways: (1) by exposing the science community to research in Brazil, (2) by providing an opportunity for Brazilian scientists and students to learn more about efforts abroad, in particular those involving space-based observations, and (3) by fostering collaborative partnerships between Brazilian scientists and those from other countries. The focus of the meeting will be based in part on areas of interest to the Solar-Terrestrial research community in Brazil, and in part on relevant ILWS missions that are flying or about to be launched. In addition this meeting will be one of the last events of the IHY. The meeting conveners are Jim Spann (NASA/MSFC), David Sibeck (NASA/GSFC), Walter Gonzalez (INPE/Brasil). A strong local organizing committee (LOC) is led by Walter Gonzalez and Ezequiel Echer. 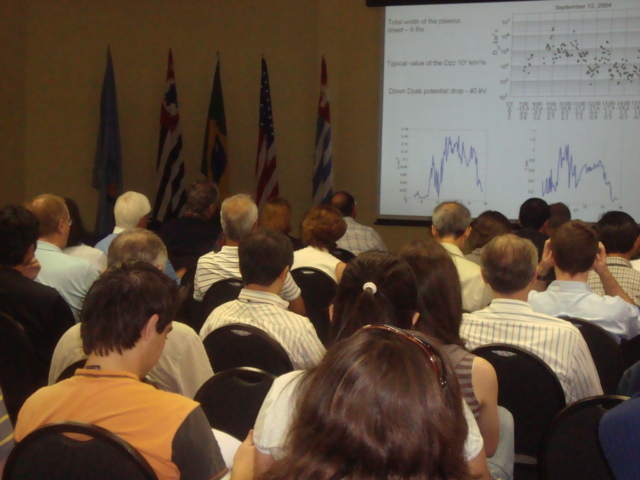 The Influence of Solar Variability on Geophysical and Heliospheric Phenomena; the 2009 ILWS Workshop will be held at the Itamambuca Eco Resort, Ubatuba beach, in the state of São Paulo - Brazil, October 4-9, 2009 (http://www.itamambuca.com.br/). Information on the meeting can be found at http://www.dge.inpe.br/maghel/ilws/ . Key issues in Solar, Interplanetary, Magnetospheric and Ionospheric-Upper Atmospheric Physics will be addressed. Furthermore, topical sessions on propagation of interplanetary structures in the heliosphere, extreme magnetic storms, low latitude electrodynamics, space weather, solar and geomagnetic activity influence on climate and future ILWS missions complete the conference agenda. 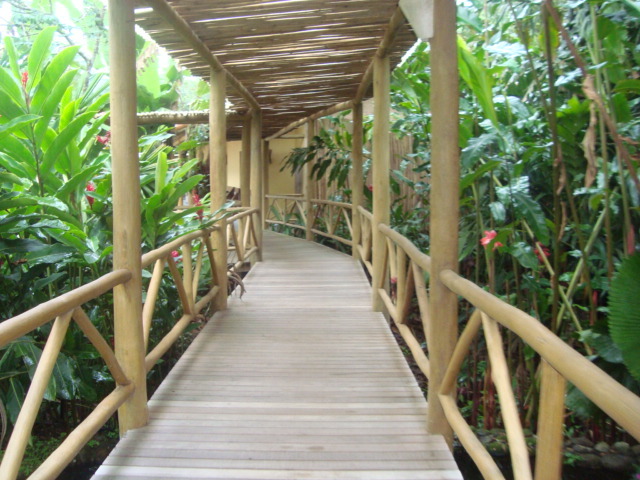 The Itamambuca Eco Resort is a paradisiacal place, both in terms of scenery, beautiful beaches and tropical forest. It is located in a region far from over-populated places. It is an idyllic place that all will surely enjoy. Pre-registration will start on May 1st via the website. Hotel reservations should be made directly via the hotel webpage (follow link at the meeting site). A special hotel rate has been arranged for the participants. An abstract form for the contributed papers (oral or poster) will be available soon on the web site. Abstracts of those interested in financial support (from the Local Organizing Committee) should be submitted to the organizers as soon as possible. For this, please contact Alicia L. C. Gonzalez (alicia@dge.inpe.br) or Alisson Dal Lago (dallago@dge.inpe.br). Arrangements are being made with the Journal of Atmospheric and Solar-Terrestrial Physics for the preparation of a special issue comprising of presentations made during the conference. 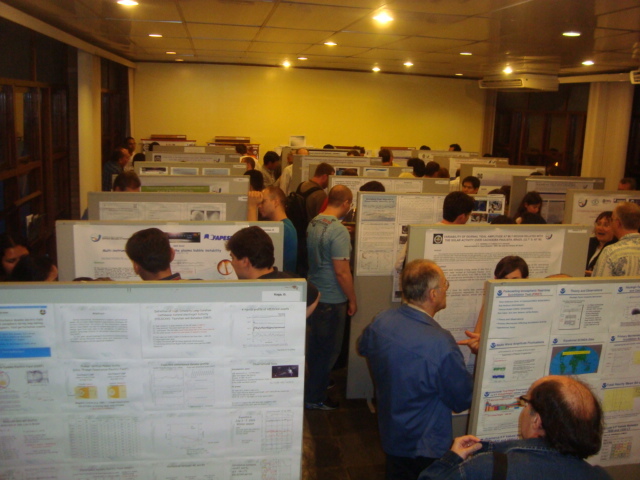 The Influence of Solar Variability on Geophysical and Heliospheric Phenomena; the 2009 ILWS Workshop will be held at the Itamambuca Eco Resort, Ubatuba beach, in the state of São Paulo - Brazil, October 4-9, 2009 (http://www.itamambuca.com.br/). Information on the meeting can be found at http://www.dge.inpe.br/maghel/ilws/. Please remember that the deadline for registration (with a reduced fee) and for abstract submission is August 15.To be registered, you can get a registration form in our Conference web site, in which there are options for payment (credit card/ invoice). We will stay in the Conference hotel only until October 9 (Friday) because there is another event at the hotel, starting on the night of that day. For those who may need to take return flights on Friday 9, please consider that you need to leave the Conference hotel about 5 hours before the time of your return flight. For those who have return flights on October 10, we recommend making hotel reservations either at the São Paulo airport or in the city of São José dos Campos. This city, where INPE is located, is in between the Conference hotel and the airport. We will provide transportation to both, São José dos Campos and the airport. An important issue concerning the rates of the Itamambuca - Conference hotel is that those rates, shown in the web site of the Conference, already INCLUDE all meals!. Thus, those rates are not too high as they may have appeared to some of the participants.